“Orioles third baseman Manny Machado will have surgery to repair a ligament in his left knee. Machado tore his medial patellofemoral ligament on September 23. He decided to have surgery after consulting with several doctors. Dodgers orthopedic surgeon Dr. Neal ElAttrache will perform surgery Monday. Machado expects to be ready for the start of spring training. 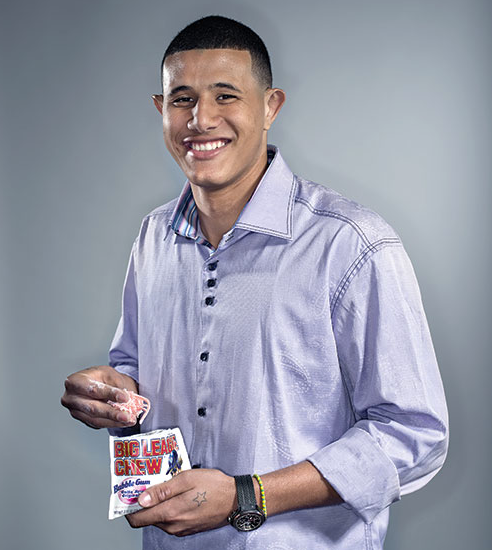 The 21-year-old Machado played in every game this season before the injury, which occurred when he stepped awkwardly on first base in a game at Tampa Bay. I know this is a few days delayed, but it needs to be discussed. When Manny went down against the Rays, the entire city of Baltimore held our breath anticipating the worst. It seems like knees are at a premium in every sport these days- ie: RGIII, Mo Rivera, Adrian Peterson. The silver lining here, if there is one, is that it’s not the Unlucky Triad– ACL/MCL/Meniscus. Manny’s the future of Baltimore baseball, and this may slightly hinder his development, but we were all witnesses to what he could do in learning on-the-go. He’ll come back bigger and better than this year, book it. Respectable pinch of Big League Chew, btw. ← College Football Playoff selection committee has been finalized, Condoleezza Rice amongst members… Yes you read that correctly.